As expected, the Bears are placing tight end Zach Miller on injured reserve. This was the only possible outcome after he had major surgery on his dislocated knee. To take his place on the roster, fellow tight end Ben Braunecker has promoted from the practice squad. Taking Braunecker’s place on the taxi squad will be tight end Colin Thompson. In 2016, Miller caught a career-high 47 passes and 486 yards with four touchdowns. At the time of his injury, he was on pace for similar numbers with 20 receptions for 236 yards and two scores. 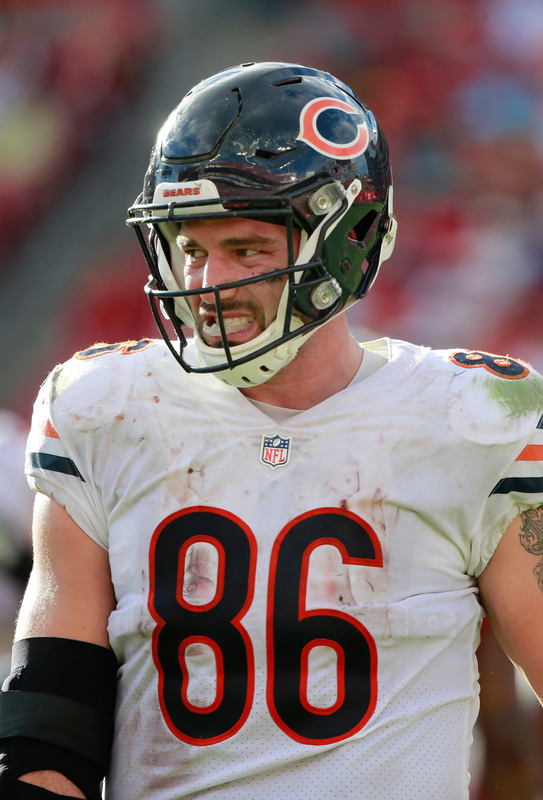 The Bears are expected to move forward with Dion Sims and second-round pick Adam Shaheen as their top TEs with Daniel Brown in support. They’ll try to improve on their 3-5 record on Sunday when they face the rival Packers in Chicago.